Mark Reynolds Solicitors, one of the North West’s leading personal injury law firms, has expanded again with the opening of a fourth office. The company, which was established 5 years ago by Mark Reynolds and Peter McCourt, now has offices in Liverpool, Runcorn, Leigh and, most recently, Warrington. Mark and Peter say their rapid expansion is down to a growing reputation for providing a reliable, high quality service, especially in the field of personal injury and employment law. The company recently won a six-figure payout for Anita Carlton who was unfairly dismissed after she blew the whistle on the care being provided to patients at the Regency Hospital in Heswall, Wirral. The hospital has since closed. 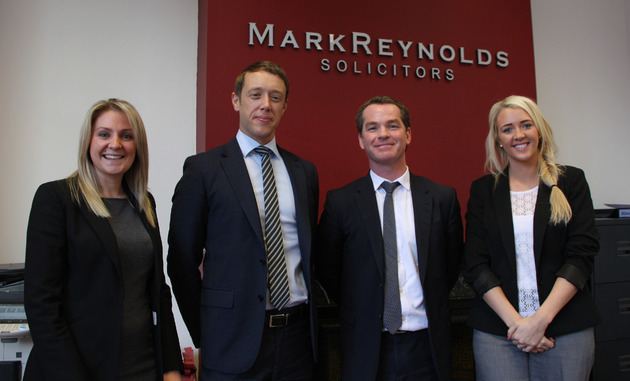 Mark Reynolds Solicitors was established in 2009 in Liverpool. The second office was opened in Runcorn in 2012, the third in Leigh in 2013. With the opening of the Warrington office, there are now 25 lawyers and support staff on the team, working across six specialist divisions: personal injury claims, employment law, wills, debt and insolvency, family law and clinical negligence cases.